Buying a quality used car is an affordable way to upgrade your Matthews area commute. 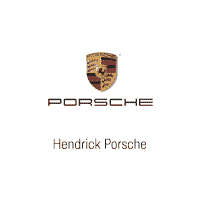 Here at Hendrick Porsche we offer a wide variety of pre-owned Porsche models as well as high quality used vehicles from other popular automakers. Whether you’re shopping for a pre-owned Porsche family car like the Macan, or looking for a dynamic sports car like the Porsche 911 GTS, we’re sure you’ll find the right car at the right price in our used vehicle inventory. Check out the used car shopping tips from Edmunds.com, then contact us to schedule a test drive in Charlotte today! All of our pre-owned vehicles have been thoroughly inspected by our certified service technicians to ensure that each is in top condition, inside and out. In addition, we make sure that our prices are always among the most competitive in the Indian Trail area, so you can find the used Porsche 911 GTS price or Porsche Carrera 4S price that best suits your budget. We also offer a wide range of used vehicle specials so you can take advantage of some of the best deals available. If you have any questions please give us a call at (980) 224-4657, or better yet, stop by our Porsche dealership near Pineville today!